If you really want a bunch of good screams this Halloween, you'll need to have the scariest decorations available. Forget about vampires and werewolves, they just don't do the trick anymore. Nowadays it's all about the paranormal! 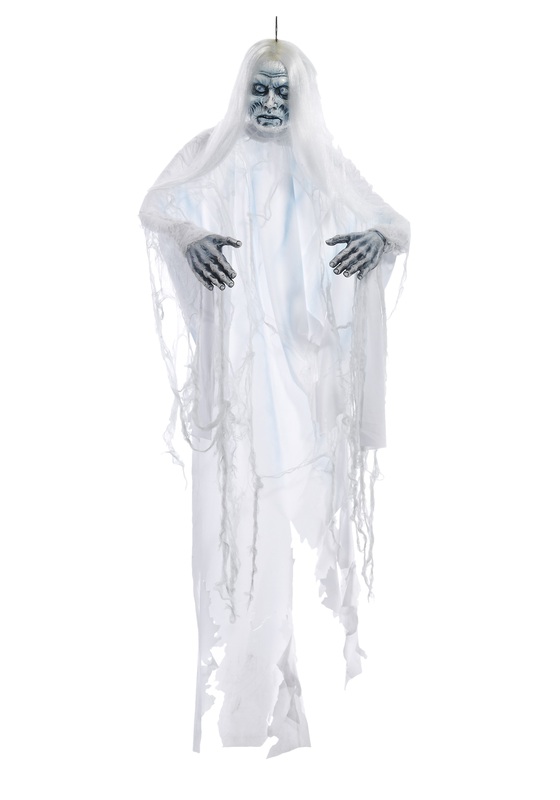 So add this White Shadow Ghost Hanging Prop to your haunted house setup. Hang him on your porch in the light for everyone to see or toss this ghastly ghoul in a tree and have him await unsuspecting trick or treaters in the dark! This prop even has adjustable arms, so you get to decide what pose you'd like your creepy new friend in. Have them placed wide open as if he was inviting all your visitors to join him the spirit world. You could also set him up to appear like he's reaching out after souls to devour in order to make his own ghostly powers even stronger! How ever and where ever you set this haunting prop up, you'll be sure to get some good screams with a face like his hanging around your home this year.